I have a wonderful interview for you today that will give you tips and tricks to perfecting (and keeping) a great looking fake tan. As someone who grew up in the late 90s - early 2000s, having sunkissed bronze skin was the in thing. Gisele Bundchen was the inspiration for a lot of my friends and she had gorgeous brown/bronze skin. As someone who is deathly pale, I bought so many fake tanning products in the hope that I too would look like a gorgeous tanned beauty. Sadly back then the only tanning options were orange or dark orange. Also a lot of the formulas weren't what they are today and 99% of girls walked around with orange, patchy skin. Eventually I gave up and embraced my paleness. I do fake tan once or twice a year, but am still yet to find a tanner that looks natural on my pale skin. I was really excited to be able to e-interview Danielle, who's the co-founder of PureTAN. PureTAN is Australian made, free of mineral oil and is not tested on animals. What are your tips for perfecting a fake tan? Exfoliate prior to tanning for a super smooth base to work from. Take your time and apply with a mitt for an even streak free finish. I always start with the legs and work my way up, finishing with my face , hands, feet last- to avoid over tanning and a beautifully natural sunkissed glow. Now that you have the perfect tan, how do you keep it looking great? Moisturise daily, morning and night, using a hydrating product like Pure Moisture Coconut Body crème for intense hydration and to prolong the life of your tan. Should you do hair removal before or after tanning? Always shave or wax 24 hours prior to tanning to avoid clogged pores or irritation. How do you fake tan those hard places, like hands and knees, without them being patchy? 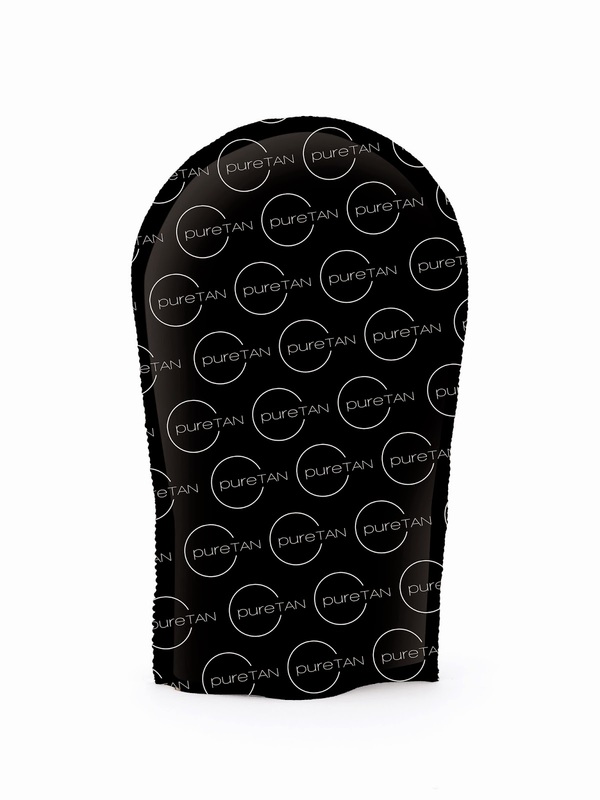 Always use an application mitt, such as our PureTAN Pro self tan application mitt. It gives flawless results and smooths product over evenly. When applying tan to hands and knees always use less product. A great tip is to apply to the rest of the body first and apply to knees , hands and feet last with remaining product on mitt, to avoid "over tanning". Also wipe inside of palms with a baby wipe or damp cloth. Do you prefer to use wash off bronzers or developers? What are the benefits to either of them? Using a product that develops gives you lasting colour - usually 5-7 days, which is perfect if you're on holidays or time poor and don’t want to keep reapplying a product. Wash off bronzers are a girls best friend for last minute tanning emergencies, touch ups, or when you’ve had no time to tan. A perfect last minute party fix! What are the best ways of removing a tan? Use a body exfoliator and a buffing mitt or loofah in the shower. Using a body scrub such as Pure Moisture Coconut Body scrub on dry skin with a loofah or buffer removes excess tan. For super stubborn stains, lemon juice or bathroom cream cleanser secretly works! 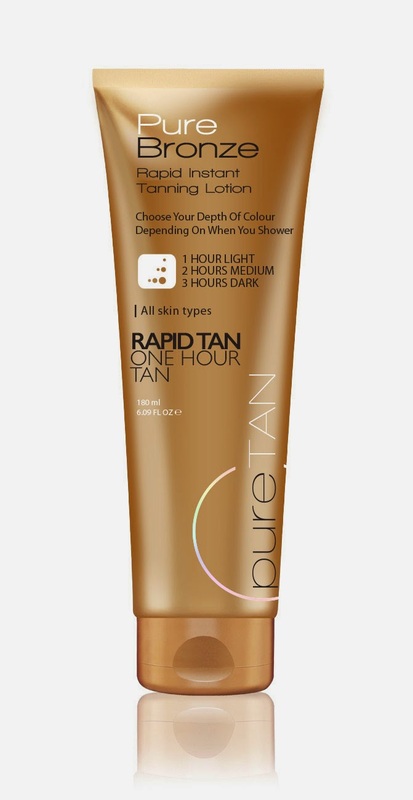 Which is your favourite Pure Tan product? Hopefully you've learnt something like I have and will be rocking a perfect fake tan in no time! What's your favourite brand of fake tanner? Have you used Pure Tan before? PS If you purchase off the PureTAN website (here), you can save 20% off your online order. A pop up will come up and you just enter your email address and they'll send you a coupon code. The 20% off offer has nothing to do with me or Bottled Beauty. I just saw it on their website and wanted to share it with you. I aboustely love Danielle and PureTan. I love supporting small companies like them and it's even better when the people behind them are so lovely!